The Indianola Community Guide is your guide to all that Indianola has to offer. Whether you are moving or just visiting, the guide can help you find everything from attractions and restaurants, to real estate and auto repair. 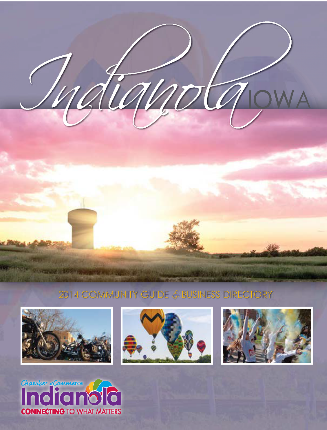 Come into the Chamber to get your hard copy, or click on the image below to view the Indianola Community Guide online today!